I ran a half marathon this past weekend. It was amazing and such a great race for me – the best and fastest 20K/half I’ve ever run (this last race was #4). Hitting a personal best, feeling as great as I did throughout the race and at the finish, and kicking off racing season with a bang was all great – but it doesn’t hold a candle to the highlight of my experience. 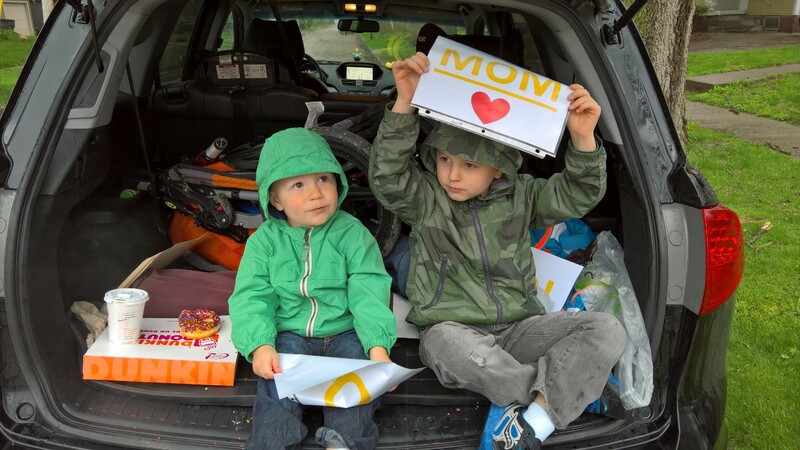 My boys came out to support me – in the pouring rain. As they dropped me off close to the starting line, I blew them each a kiss and said I’d see them along the way. Because of the rain, I wasn’t sure that I would see them. 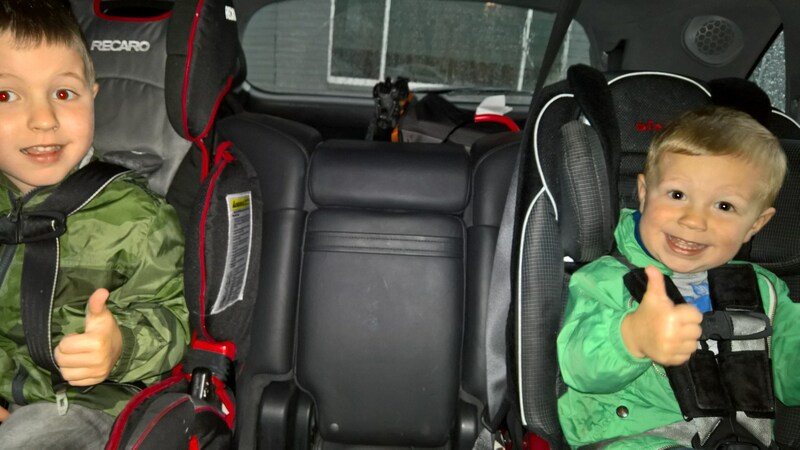 It’s a pretty tall order to get two little kids out of the car multiple times to stand in the rain and wait for their mom to run by. As I waited in the rain for the gun to go off, I felt emotional and even teared-up thinking about them standing along the race route waiting for me in the rain. I knew they may not be able to make it work, but I was hoping they could. I gave Hottie a course map the night before the race with three general areas circled that would be nice points for the boys. He said that they would do their best but that the weather could be an issue. I agreed. I honestly hoped I’d see them once. They came to the first point circled on the course map, but I was running faster than anticipated and they missed me. Shoot! I had no idea until after the race that they were there, but my heart melted when Hottie told me. I saw them around mile 6/7 as I came down a straight stretch, but they didn’t see me. I shouted out for Matthew and they got so excited and had a hard time grabbing their little signs (in all fairness, they were also eating donuts)! I really wasn’t concerned about my pace so ran up to give them each a kiss and it was just wonderful – I ran faster after that! My phone/headphones started to fail at about mile 10.5 and I kept hoping I’d see the boys again so I could give them my electronics. We had JUST bought the new phone the night before (not recommended) and here I was in the rain with it. I was terrified I was killing it with the rain and just then… there they were again calling for me! I ran over to kiss them (again) and hand off my phone when the boys said, “Mom! We brought you oranges!” Cut orange wedges are my favorite race food – I learned that 6 years ago when running Grandma’s Half in Minnesota. Of course, Hottie remembered that and brought them for me. How wonderful! I sucked on one of them as Hottie fished my phone out of my running belt (my fingers were frozen and could not function) and then they sent me on my way after another orange wedge. As I ran off (with no music), I heard, “Go Mom Go! Go Mom Go! 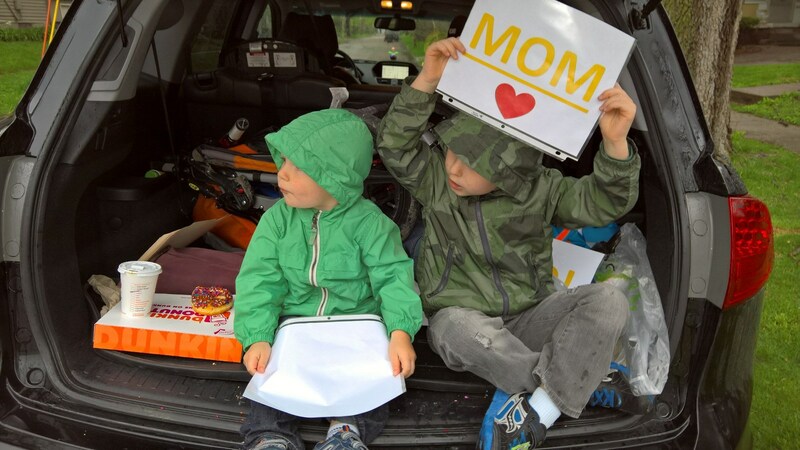 Go Mom…” Seriously – there is nothing more motivating! I heard them in my head until the finish line… where they were NOT! 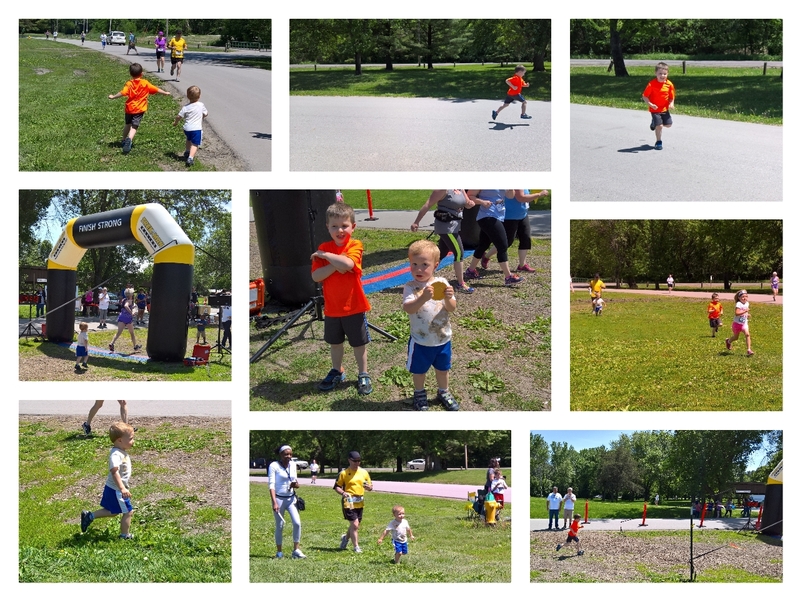 Once again, I was running faster than anticipated and I crossed the finish line without my support crew. HA! It was a very anti-climactic finish given the awful, cold weather with very few spectators there. I wasn’t sure what to do! I couldn’t get my fingers to work they were so cold and couldn’t even zip my coat or open my water bottle. I walked back to the finish just to make sure I hadn’t missed them and I hadn’t – they weren’t there. I went to the relief tent and asked for a blanket from the EMS table so I could warm up and then asked a gal if I could borrow her phone to call Hottie. Her phone had taken it as well and my fingers weren’t working, so it took forever to get the call made. Turns out, they had just gotten to the finish line, so I headed their way. Matthew’s little face lit up when he saw me and he and Bryson kept saying, “great job, Mom! You won the race!” They were so excited! I got a kiss from everyone and we headed QUICKLY to the car! As I held Matthew’s hand, headed for shelter from the never-ending rain, he looked up at me and said, “I heard them say on the radio, ‘Courtney Donaldson from Urbandale.” I was so happy – they were there for my finish (just not at the finish line, but getting out of the car), and my little boy heard them announce my victory! Hottie, God love him, took me straight to his downtown office to take a shower to warm up since we had two bags full of dry clothes and shoes, and because I now had a “towel” in the form of the flannel EMS blanket I walked off with. My boys continued to support me as they waited in Dad’s office (eating even more donuts) while I took the longest, hottest shower ever! And as I was showering, Hottie came to the door and said, “2:04 was your finish time, I thought you’d want to know right away!” He knows me so well, and loves me so much! Because I’d given him my phone, I had no idea what my time was until he told me. It was so fun hearing it from HIM, of all people! It was the most perfect race… and it truly rained the entire time! HA! As if you haven’t had enough of me today, here is a link to my other blog in case you’re curious what I’ll be spending my $975 (and hopefully growing) FB sales money on that I made and collected this week. HA! 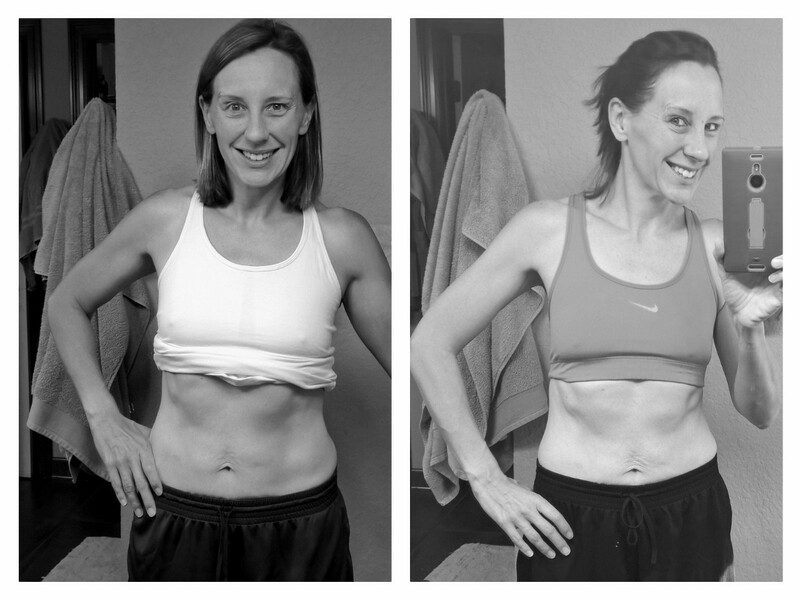 I finished up an 8 week challenge doing the Beachbody PiYo program. I loved it! It was a great program to get myself motivated for tougher challenges to come. My finishing stats, pics, etc. are here. I’ve started a new challenge (why not just jump right into another one, right?) just today and am tracking my progress here. The holidays, especially the 4 days between wrapping up the last challenge and starting this new one, were not kind to me – or rather, I was not kind to myself. I got a little fluffy. I had to up my goals for this next challenge so I could get below where I STARTED the last challenge. HA! 12 Weeks of Maintenance – Wrapped Up! 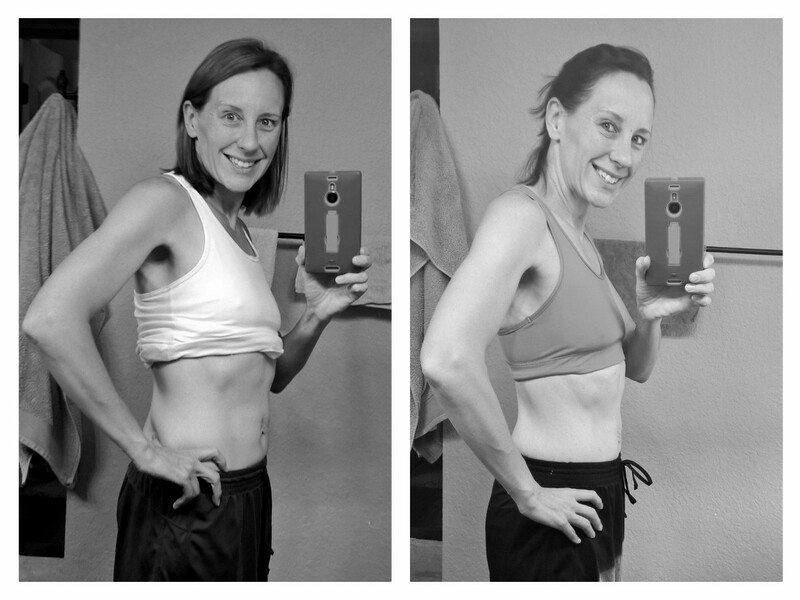 It was getting pretty tough to focus on this 12 week challenge since I started PiYo 3 weeks ago – PiYo has ended up taking quite a bit of time. I knew my running would take a hit, and am honestly glad that it didn’t take a bigger hit than it did. My goal was to run a minimum of 240 miles and I ended up at 229.77 miles prior to resetting running goals in week 10 to reflect the time required of PiYo and weather considerations (it is so wet and cold outside – I haven’t run outside in 3+ weeks, sigh). I’m pretty darn happy with that and if nothing else, it reminds me it’s time for a new pair of running shoes 😉 I’ve definitely put 500 miles on the ones I’m currently wearing. HA! At the end of the day, most goals were met and I lost weight, if only 2.6 pounds (I did weigh 1.2 pounds less yesterday when I thought I was done with this challenge, but that’s OK). My goal was to maintain, so any loss is a win! I never went above 145 pounds and my body fat did not go above 24% – both of those were my highest-priority goals. If fact, I lost 1.4% body fat, ending up solidly in the 21%-range (21.4% today) and I could not be happier with that! I have never had body fat percentages this low before! I think you can see the changes in the pictures – things really tightened up! Another great challenge with most goals met! I can’t always control how much time I can spend being active, but I can modify calorie intake to off-set those challenges and that’s what I did. I’ve learned these last 12 weeks how to plan each day the night before, and to think about modifications when things don’t go according to plan. A great thing to figure out, no doubt! Categories: Fitness and Health, Food | Permalink. I have seriously dreamed of owning a dress like this, and more importantly, looking like I belong in it. Not tooting my own horn, but I just cannot get over how excited I am about this dress. THIS is my favorite clothing purchase of my LIFE. Categories: Fashion?, Fitness and Health, FUN!, Holidays, My Free Time | Permalink. … for a dedicated fitness blog. I know that most of my parenting readers don’t care about my fitness challenges and stats, and the people who follow me for fitness reasons don’t care about my challenges and joys as a parent (or the newly-indoctrinated fashion-obsessed woman I seem to have become). Three health/fitness companies have reached out to me to post for them and I always say no, but I finally said one to one of them and I hesitated a LOT. I don’t want random people reading my parenting/personal blog. Here’s my fitness blog, in case you want to follow along. I will try to move the fitness stuff from here to there and will probably rarely cross-post. I want to keep the two identities/themes separate!